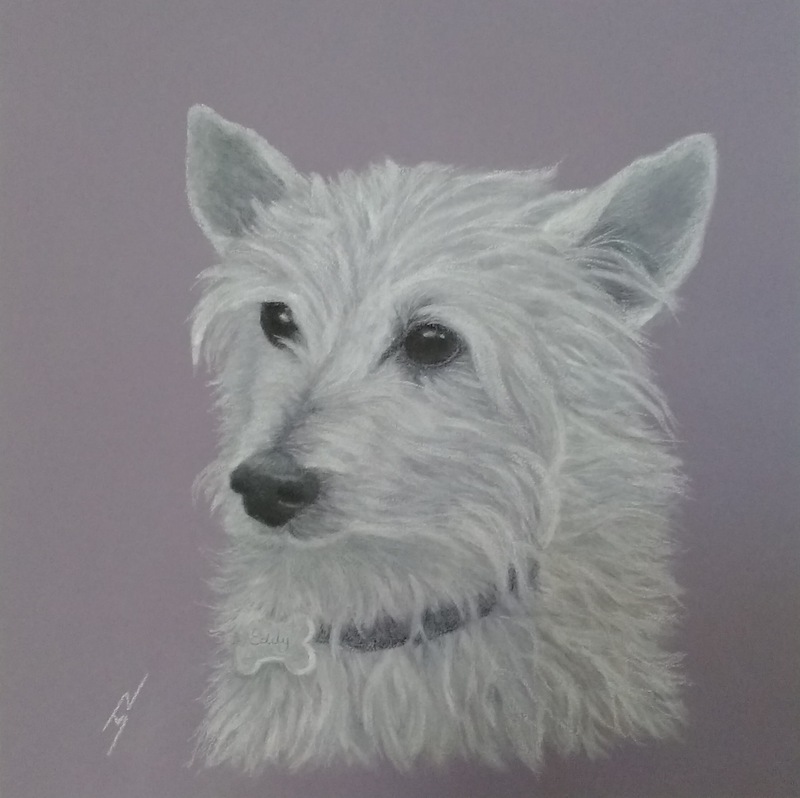 Here are some examples of Pet Portraits I have done in acrylic and pastels. 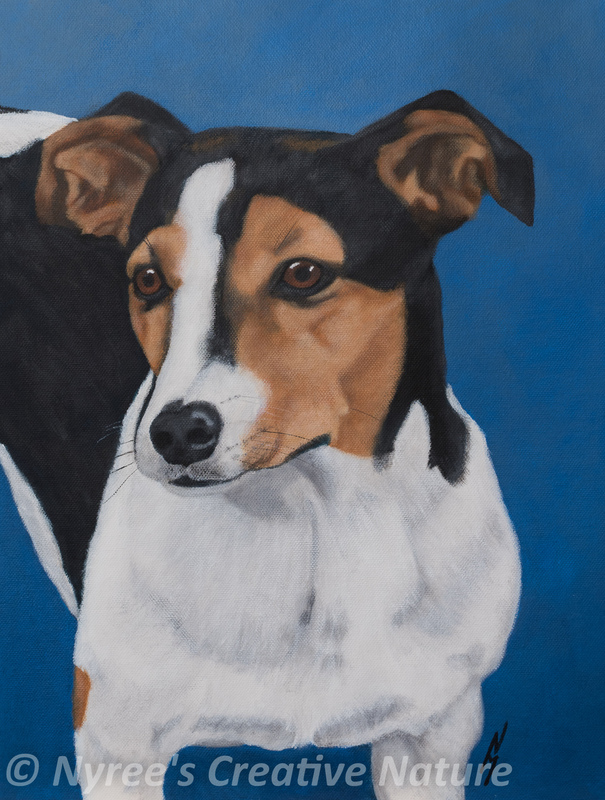 If you are interested in a pet portrait of your best friend, please feel free to contact me for more details. 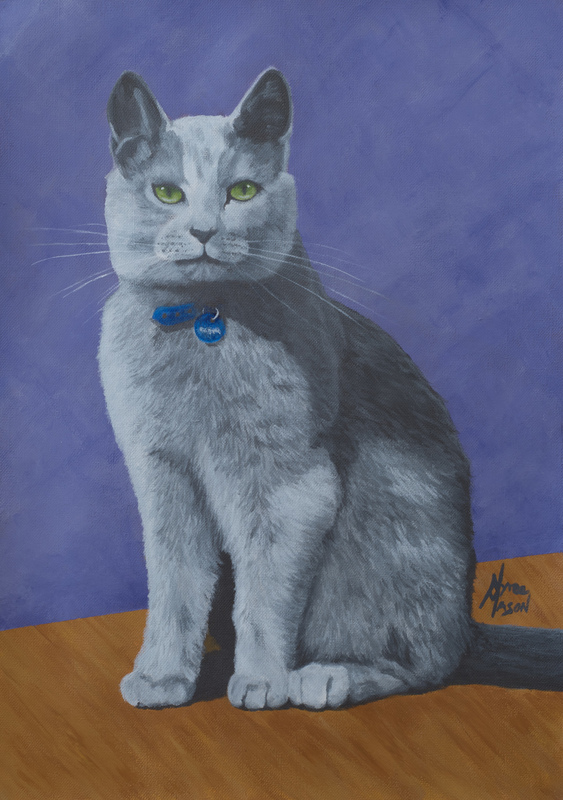 Prices start from $150 for an A3 sized portrait of one animal (unframed). Please note that indicative prices do not include postage and handling if required. If possible, I would prefer pastel artwork to be picked up locally or shipped only short distances due to the delicate nature of the medium. My special little guy, “Sykes”. Oil on board. 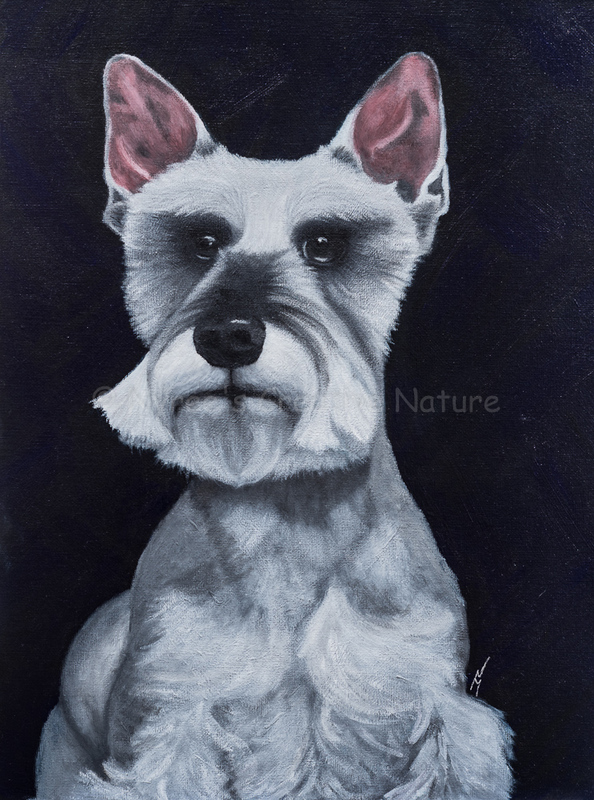 “Schweet Schnauzer”: Acrylic on A3 canvas board. (SOLD). “Jimmy”: Acrylic on canvas board. 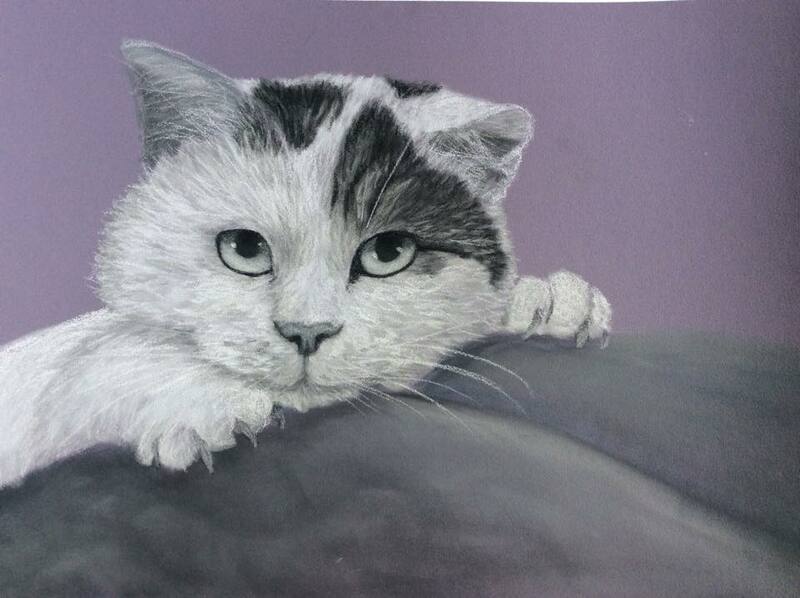 “Eddie”: Pastel on A4 paper. (GIFTED). 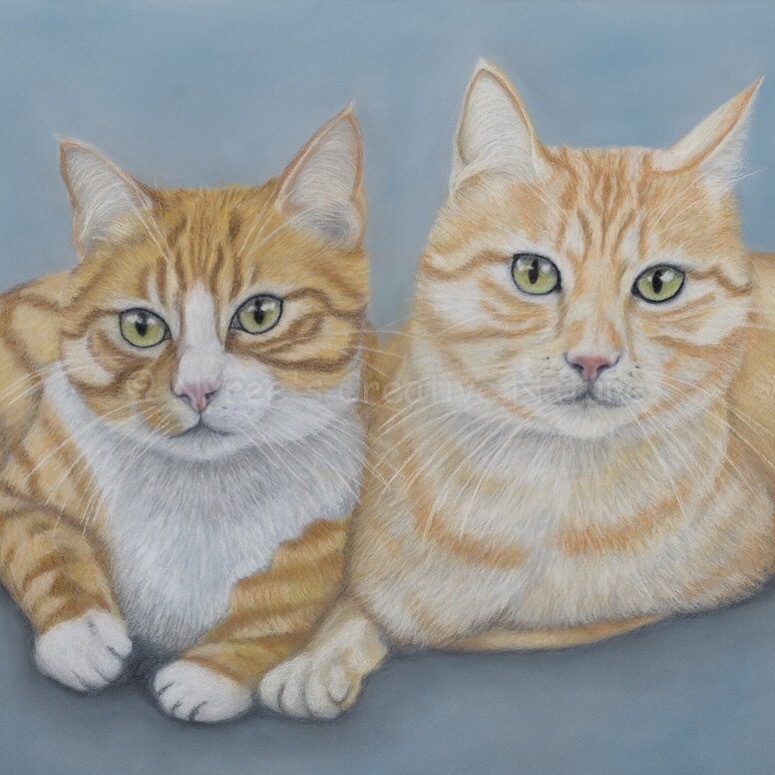 “Grace and Winnie”: Acrylic on canvas. (COMMISSIONED). 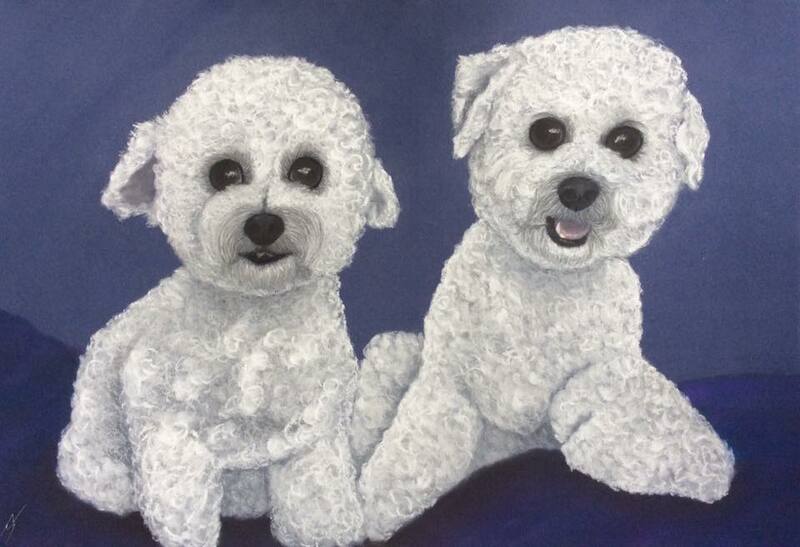 “Billy & BJ”: Acrylic on A3 canvas paper. (COMMISSIONED). “Rasputin”: Acrylic on canvas paper. (COMMISSIONED). 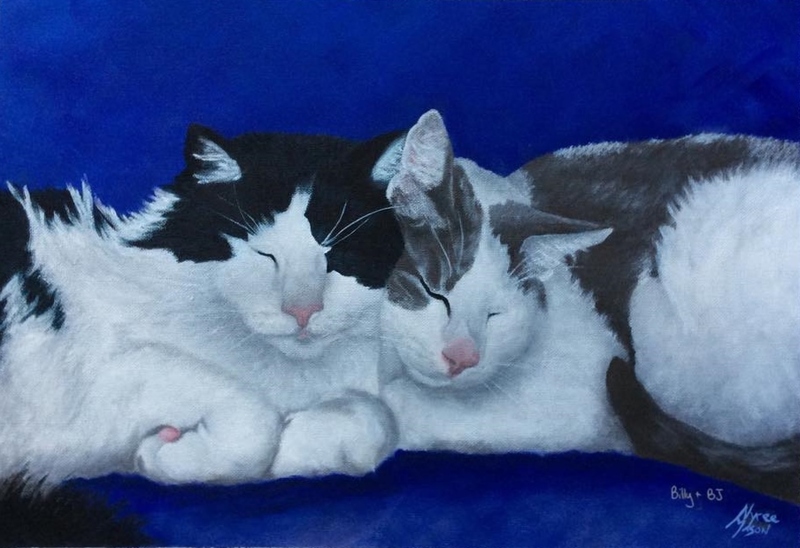 “Lion & Tiger”: Pan Pastel on A2 paper. “Gish”: Pan Pastel on A3 paper.